Osteoarthritis is the most common joint disease worldwide. Due to our ageing population, the number of those affected is increasing. The Agilium Reactive can help relieve pain caused by general knee osteoarthritis. 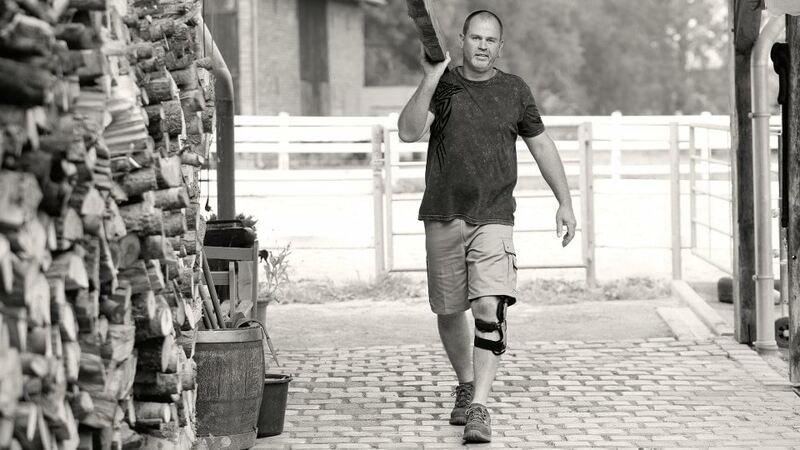 Even in everyday situations, users are thankful for the relief provided by the brace. 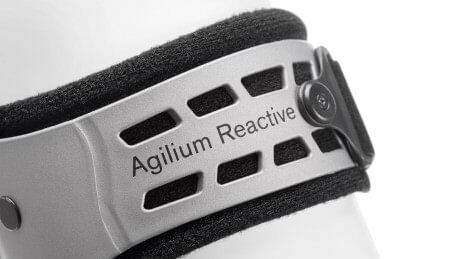 The Agilium Reactive is an especially lightweight brace that is comfortable to wear. In particular, wearer comfort is increased by the innovative closure technology of the calf strap, which users can loosen at the push of a button to reduce constriction when sitting down. 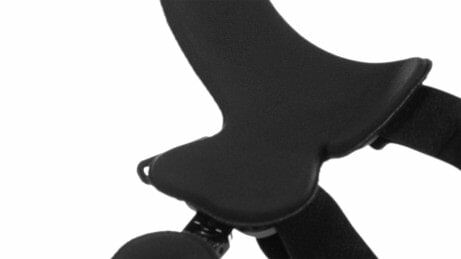 When seated, the user can loosen the strap easily with a single movement. This gives the calf muscle more room in the new position. 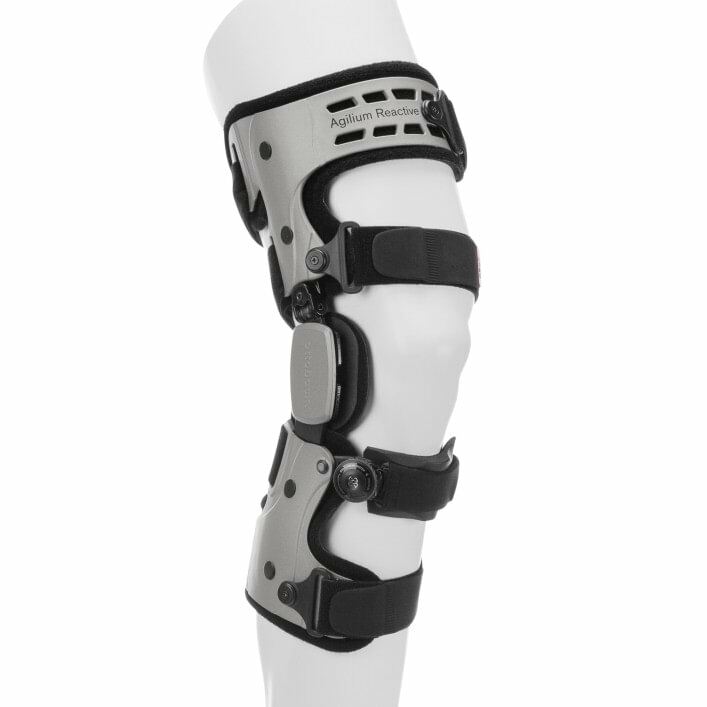 Thanks to the auto-adaptive design of its straps, the Agilium Reactive can be adjusted to accommodate different leg shapes. 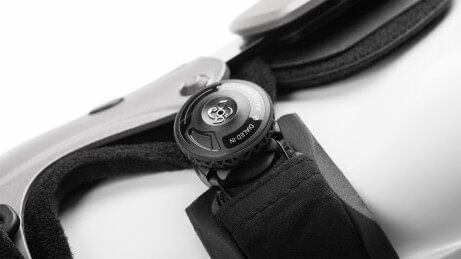 The slimline design and construction of the Agilium Reactive and the materials used make it very lightweight. The innovative technology in its non-slip pads makes it comfortable to wear, while at the same time providing good protection against slipping. 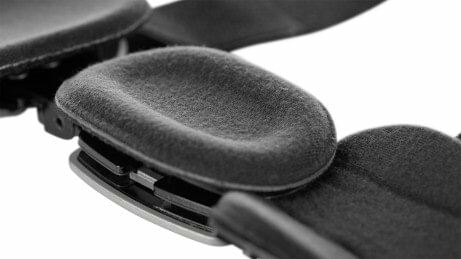 The TechnoGel pads include a skin-friendly fabric cover and are made from a high-quality material that allows for optimal pressure distribution. They are also extremely hygienic.